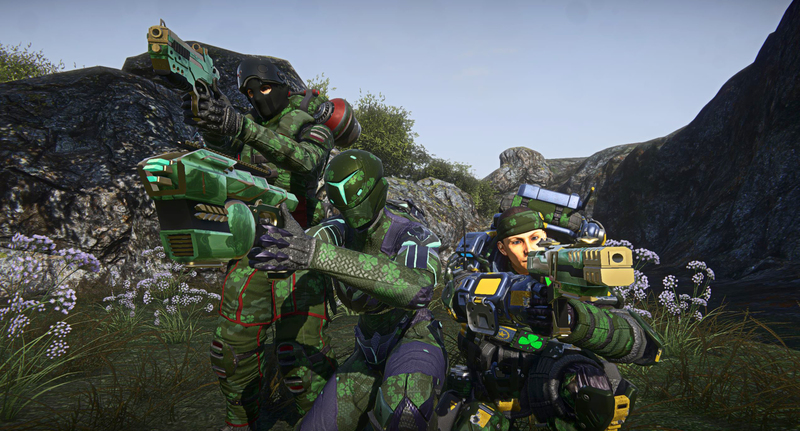 The PlanetSide 2 Public Test Server will be coming down this evening (Pacific time) for another large game update. Friendly Fire for NSO faction in Warpgate issue is fixed. Terminals in VR are usable by NSO characters now. Fixed a number of crashes identified by our recent community playtest. Fixes for MAX attachments and animations. Re-exported a handful of art assets causing errors with the client. Fix for vehicle debris left when players log out while in a vehicle. Might be unable to login with NSO characters due to UI issues with the character select screen. Quick deploy UI is acting funky. Other NSO issues such as friendly fire in the warpgate have not been fixed yet. Please log on a find a fight if you can. We are still trying to hunt down any more client crashes remaining in this build. Thank you to everyone that has been helpful us test this upcoming release. As always, you /bug reports have been very helpful. Keep them coming. One way server transfers between Briggs and Connery are currently enabled. This will be one way server transfer only, so it is highly recommended to create a character on Connery to see how it feels before confirming the transfer of your character(s). On Thursday, April 11th, 2019, at 2:00 PM PT (11:00 PM CEST) the PlanetSide 2 development team will be hosting a livestream at http://twitch.tv/planetside2! With DX11 and the Nanite Systems Operatives faction available on the PTS, we're just around the corner from a big live update! We wanted to take a moment to check-in and chat about a couple of the things that are coming to the game, including DX11, Mentor Squads, and maybe even a sneak peek at the future tutorial system. While the stream won't be too long, you'll also be able to hang out with us on Friday, April 12th, 2019, at 2:00 PM PT (11:00 PM CEST) during our Community Playtest on the PTS! More details will be announced during tomorrow's livestream, but be sure to mark your calendars now. We've made numerous bug and crash fixes to DX11, as well as some substantial underlying changes to the way our file packing system works. Our new file packing system offers better encryption of assets, which means a more secure game overall. In addition, this updated system dramatically reduces the file size of the game... but there's a catch. All players will be required to re-download the game once this update goes Live. This includes the update going PTS right now. It was important that we time this structural upgrade with a large, very desirable feature that we could use as a call to arms to incentivize players to re-download the game. Rest assured that we will be pushing for the return of lapsed players through various campaigns surrounding the release of DX11. In the coming week, we'll be sharing our livestream and playtest schedule, and maybe a bit more. Please download this PTS update and continue to help us test the game's stability as well as keep using that /bug command to help us track down all the smaller bugs as well. The hour is at hand! DX11 has descended upon the public test server! Our testing has proven out substantial framerate increases for various hardware configurations and settings, and there are more gains to be had coming down the pipe. Alongside that, we've included all sorts of new and exciting bugs to explore! From UI brokeness, to more-slippery-than-normal vehicles, to weird animation issues, to shaders showing up incorrectly, etc. We plan to run a community playtest toward the end of next week, and a livestream before then. We'll be letting DX11 soak on Test over the weekend, and use the next week to work on known issues, and new ones you, the community, uncover before then. Be sure to follow @planetside2 on Twitter for updates, and the www.twitch.tv/planetside2 channel for when we go Live! PC servers will be taken offline on Friday, March 29th, 2019 at 6:00AM PT for maintenance. Downtime is expected to last up to 2 hours. We've taken another pass on the NC MAX shotguns to help with their MAX versus MAX potential, without tipping over the MAX versus Infantry balance too much. In some cases this meant increasing the default magazine sizes, hastening the reload speeds, or both. G1ngerBoy's Apocalypse Helmet, for VS, is now available in the Depot. Players no longer receive healing, repair, revive, shield repair, or resupply experience in the Warpgate. All PS4 servers will be taken offline on Wednesday, March 27th, 2019 at 6:00 AM PT (14:00 UTC) for an update. Downtime is expected to last up to 2 hours. The patch notes for tomorrow's downtime can be found here. PC servers will be taken offline on Thursday, March 21th, 2019 at 7:00PM PT for maintenance. Downtime is expected to last up to 2 hours. M202 Wyrm now receives kill medals. M202 Wyrm now contributes directive progress to Scythe, Reaver, and Mosquito directives. New Empire carbines now receive kill medals. New Empire carbines now count toward generic carbine kill directives. Nigthshade and Fatestealer now count toward generic melee kill directives. Hid the unequippable "Kinetic Shielding" skill line from the Lightning's cert list. EverQuest lore pop-ups will now clear when players reach a different UI screen, ie. opening the map. Valkyrie's VLG nosegun no longer reloading more quickly while aiming through optics. Fixed various detached particle effects and broken audio, including infiltrator's cloak sounds. All PC servers will be taken offline on Wednesday, March 20th, 2019 at 6 AM PT for an update. Downtime is expected to last up to 3 hours. The patch notes for tomorrow's downtime can be found in the game update notes section of the forums. We've improved the character select and character create screens to elements to bring in more of the in-game UI flavor, while still revitalizing the look. These screens continue to be a work in progress as we polish it for Live. Unstable Warpgates now operate in 3 tiers: unstable single-lane (as is on Live,) unstable double lane (which adds an additional lane along the edge of the map,) and stabilized. Unstable Warpgates will now check once every 2 minutes for populations on a continent once it's unlocked, and update the stability tier based on current population. (This can also skip tiers and completely unlock the continent at the 2 minute mark if enough players flood onto a new continent at once.) In addition, Unstable Warpgates stabilize over time in stages, if they have been unstable for too long. Unstable Warpgates no longer rely on the alert system, and instead immediately stabilize the continent up to the appropriate level. VE-C Horizon, MGR-C1 Charger, and MG-C1 Kindred have all received new audio. Made adjustments to attachments selections, and realigned certain optics. Fixed animations related to the Horizon. Added new defensive slot item that, while deployed, generates a shield layer on the Prowler that increases its effective health. This shield has downtime when fully depleted, and regeneration is paused for a brief period whenever damage is taken. If the Prowler undeploys, the shield is immediately removed, and redeploying will require the shield to regenerate from zero again. Each rank of this cert line will increase the regeneration rate per second of the shield layer. Dev Note: In an effort to increase diversity of playstyles and further emphasize faction flavor, we've added a new defensive slot item that empowers the long-range, artillery characteristics of the Prowler. Rank 1 Magburner has been integrated by default, and Magburner's skill line has become a passive part of the vehicle instead of living in the utility slot. Added an additional rank to the Magburner skill line. Moved the cost of each tier up a rank, as the first tier is now free. Costs remain the same overall. Adjusted the regeneration rates of Magburner for better scaling at lower cost ranges. Dev Note: The Magburner ability has always felt important to the Magrider's overall feel, and with recent changes to how other vehicles perform, we felt like now was a good time to integrate this ability while taking some time to refine the cert line associated with it. This does leave the Magrider without a new empire specific ability, but we'll be posting ability candidates on PTS in later releases. Added new "Multi-directional Exhaust" defensive slot item that further reduces the time to recharge Magburner, and allows for limited horizontal strafe capabilities while Magburner is active. Dev Note: As with the Prowler's new Rampart Defense Mesh, we wanted to add a faction flavored defensive slot that has a noteworthy change to gameplay, and can compete with other available defensive options. Misc. Bug fixes, changes, and additions. Fixed an issue where damage to a vehicle you previously owned, after pulling a new vehicle, would add grief points to your character. The first time a character loads into a zone after logging in, they should be resupplied. This fixes a handful of first-load issues indirectly. All PC & PS4 servers will be taken offline on Tuesday, March 12, 2019 at 6 AM PT for a brief update. Downtime is expected to last up to 2 hours. The patch notes for tomorrow's downtime can be found in the PC game update notes section of the forums and the PS4 game update notes section of the forums. PC servers will be taken offline on Tuesday, March 12th, 2019 at 6:00AM PT for maintenance. Downtime is expected to last up to 2 hours. From March 15 through March 17 we'll be running double experience for ALL players, and bringing back some limited edition holiday items, alongside some new ones. Do you love goooooold? 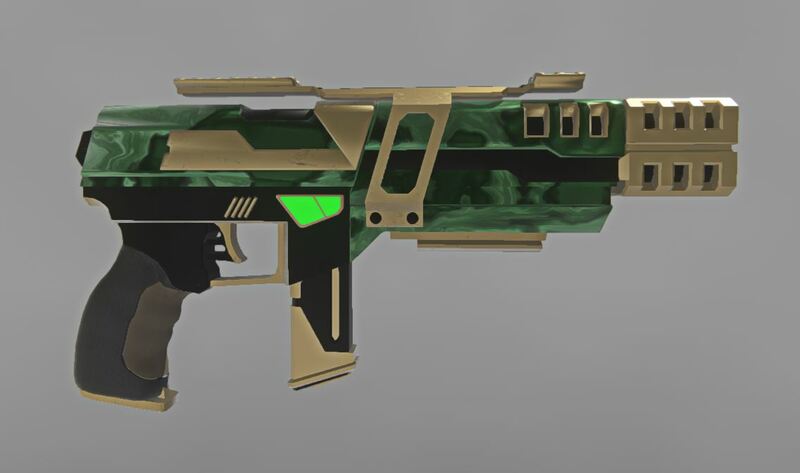 This year we've added special "Jackpot" edition pistols for each faction that all contribute to the Exceptional II directive. 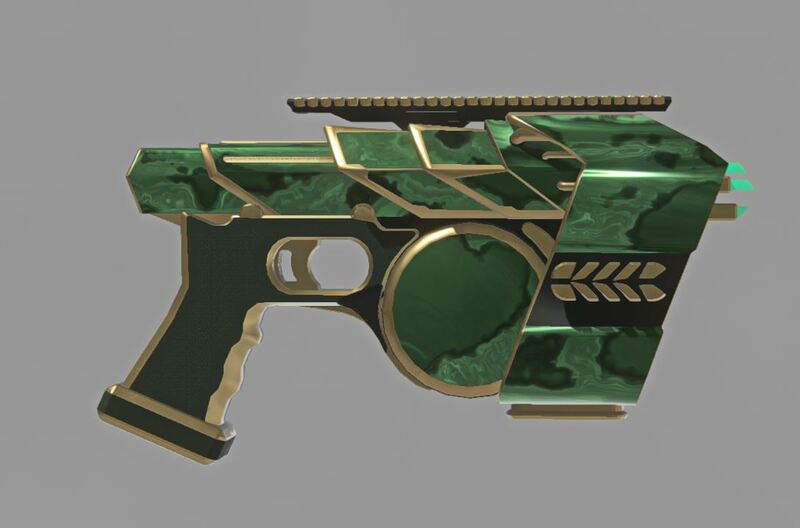 The "Jackpot" Cerberus for the Vanu Sovereignty. The LA3 for the New Conglomerate. 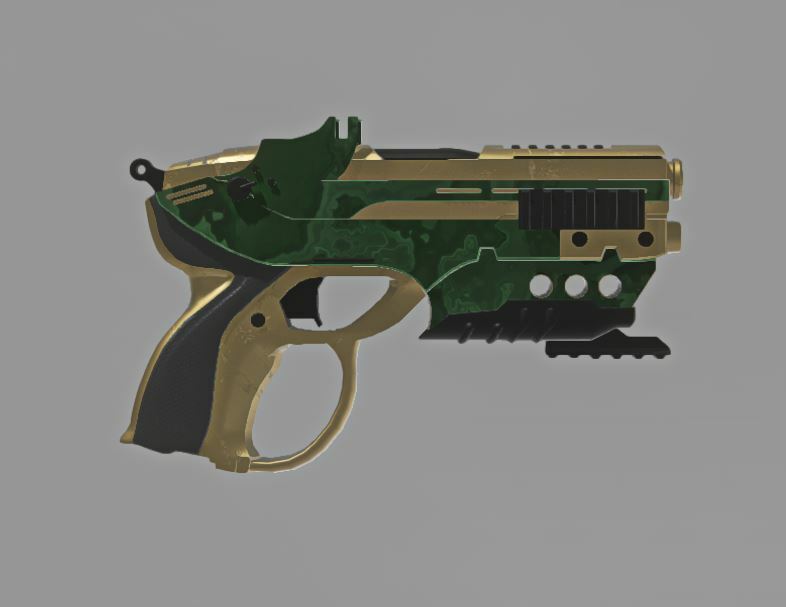 The TX2 for the Terran Republic. Page created in 0.019 seconds with 39 queries.